Blondes have more fun (let's hope). Fun fact: most redheads in Hollywood ... aren’t actually redheads. Emma Stone? Naturally blond. Amy Adams? Strawberry blond. Debra Messing? Brunette. 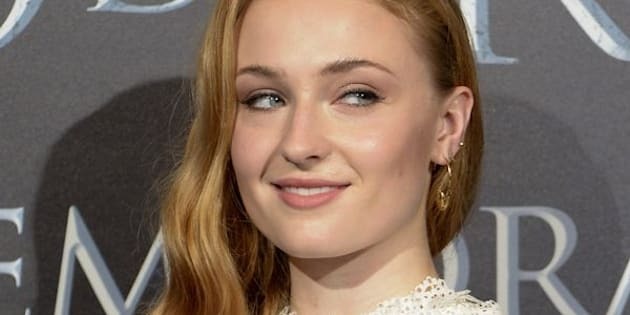 And now Sophie Turner, who plays famous redheads in both “Game of Thrones” and “X-Men: Apocalypse,” has ditched her trademark look for some Daenerys-Targaryen-style platinum blond locks. “I did a thing,” she captioned a photo of herself on the floor with her new ‘do on full display. “Game of Thrones” fans, who’ve honestly suffered enough this past week, did not take the news lightly, expressing a range of emotions in the almost 10,000 comments on the photo. One follower wrote, “Does that mean you’ve been killed off?” while another said, “Maybe Jon isn’t the real Targaryen. Maybe it’s Sansa after all ... Makes you think huh?” Others couldn’t help but notice the similarity to Emilia Clarke’s Mother of Dragons. But like the many “redheads” before her, Turner’s natural hair color is (drumroll, please) blond! In an interview with Marie Claire in 2014, the 20-year-old admitted that her fiery look was just for show. “I do [color my hair]. I’m naturally blonde,” she told the magazine. Despite the differences in appearance, Turner says she still feels a strong connection to the character that made her a household name.